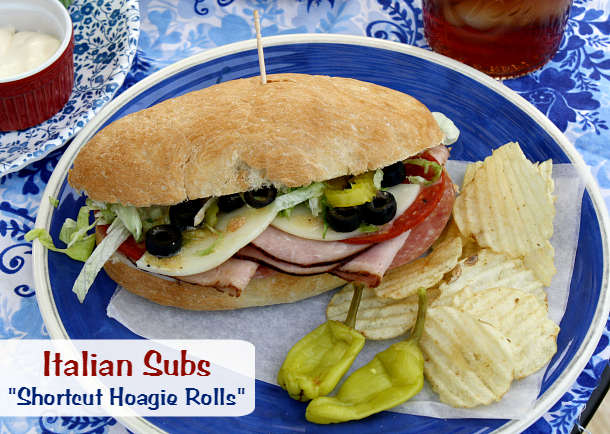 Semi-homemade Hoagie Rolls made from Rhodes Frozen Dinner Rolls perfect for making your favorite sub sandwiches. Hi everyone! Summer is quickly approaching which means my dinner menu will soon be rotating from all that winter comfort food we love to more fresh and easy meals that don't heat up the kitchen. When the mercy starts to rise here in Texas I seem to lose my motivation in the kitchen. Who wants to cook when it's 100 degrees outside? Not me, so I tend to rely on crock pot meals, cooking on the grill, taking advantage of summer produce with dinner salads, grilled veggies, grilled pizza, wraps and enjoying some of favorite sandwiches and hoagies. We actually eat sub sandwiches at least one a month throughout the year, so it's not just for summer in our house. For me part of what makes a good sub sandwich always starts with the bread. I like a soft, chewy roll with a bit of crispiness on the outside. Not too crisp that the hoagie rolls crumbles, but just enough that roll stays together. Decent Hoagie rolls are pretty pricey in the grocery store, so I don't buy them that often. Instead, I've started making my own hoagie rolls and I actually like them much better than store bought. Since I don't have a lot of time to go full homemade, I rely on my favorite Rhodes Frozen Dough to make my hoagies. 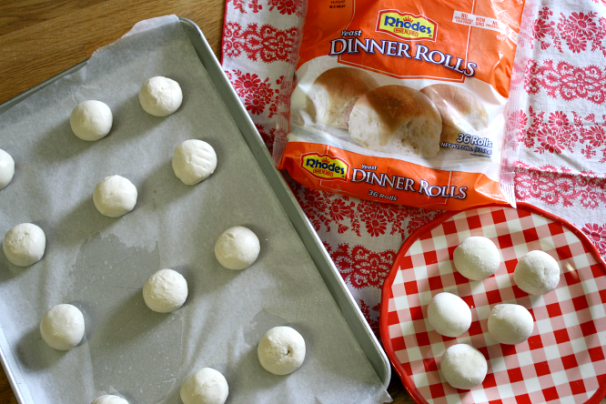 You can use frozen dinner rolls or Rhodes frozen bread loaves. My grocery store doesn't keep my favorite bread loaves in stock as often as I like, so I use the frozen dinner rolls and they turn out perfect. Most times I bake up a big batch and freeze them, so we always have sub rolls on hand, especially when it's hot outside. 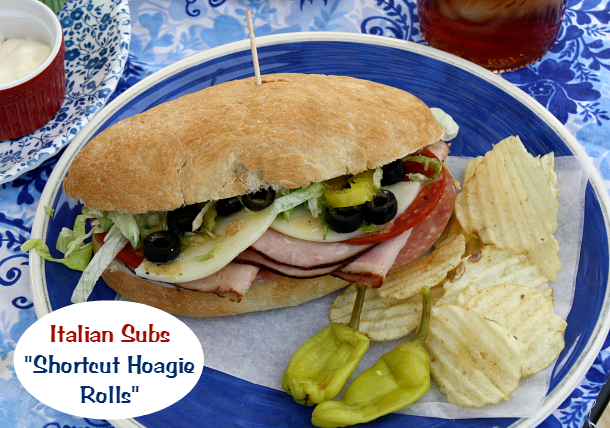 A few of my favorite sandwiches to use these delicious hoagie rolls are, Italian Subs, brats and peppers, meatball subs, french dips and PO-boys. 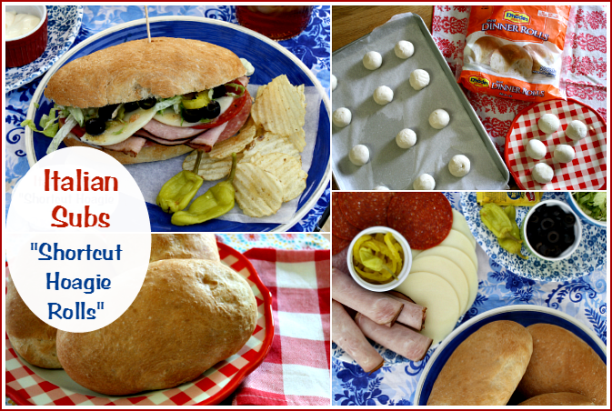 Speaking of Italian Subs today I'm Guest posting over on the Rhodes Out of The Oven Blog and sharing my recipe for my families favorite Italian Sub Sandwich. 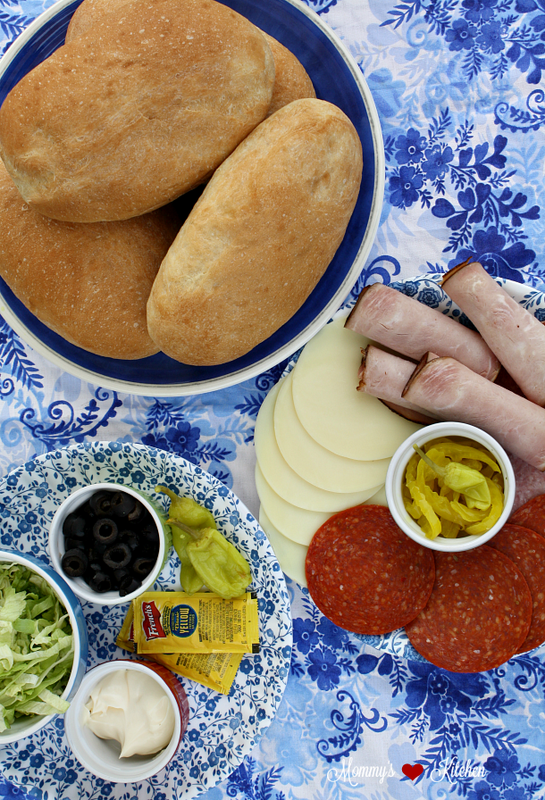 If you would like to get the recipe for these Italian Subs along with the full step-by-step instructions on how to make these easy Hoagie rolls, stop by the → Rhodes Baking Blog. This is a #sponsored post on behalf of Rhodes Bread! I'm a contributing blogger on Rhodes "Out of the Oven Blog" & "Rhodes Kids Baking Blog". I've been compensated for my time and efforts in creating this post. All opinions are my own. These look absolutely delicious! A quick and easy weeknight dinner. I especially appreciate any time saving tips like the buns. Adding these to next week's menu .. can't wait to give them a try! To me, these are the perfect style of sandwich! I love have all the fixings on any of my sandwiches, which is why I probably eat at Jimmy Johns a lot. Thank you for the recipe! I am a HUGE sub fan! I am going to have to make these one night this week for dinner. The kids love this kind of stuff too so I am sure they will gobble it right up! These look SO delicious! I absolutely love Italian subs, they are my favorite ever! I never made my own, but now I definitely have to try! YUM! Everything looks so good! I havent had a hoagie in so long. I would love to try this bread. Now you have me hungry for some and considering getting it for lunch tomorrow. Those rolls look so soft and chewy on the inside, and SO crisp on the outside!! And they're easy to make! My kids would love these...they could eat a sandwich EVERY day! Man, it's been so longgggg since I had a good Hoagie! I guess it's time to get creative and make a few for the family, we love Italian subs! My daughter has a few friends coming this weekend, I'm going to give your recipe a try and thanks for sharing this! My hubby loves Italian sub. I prefer a veggie sub though. But this looks good and easy to fix! I don't even want to think about the heat when it comes to making dinner. My hubby actually enjoys sub sandwiches, so I will have to add this to our menu more often that what I am already making them. Lots of veggies will be a must. Mmmmmmm.... SO delicious. I want to try this recipe this week for my family. I have never tasted these rolls before. I hope they taste as good as they look.